Each weekend, I post a readable, a watchable, and a listenable of which I'm fond. You can choose what happens next. See volume 1 of this series here. I have a first lady crush on Laura Bush. I hope to say the same for Michelle Obama (so far, so good with her j.crew lifestyle.) 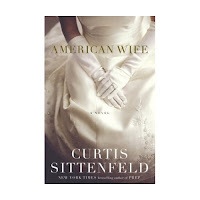 American Wife by Curtis Sittenfeld bares a striking resemblance to the life of Mrs. Bush, so much so that I have a book crush on it. It even made me love "Charlie," the husbandly character who was fabulously crazy when he got a DUI, bought a baseball team and then became a politician with no experience. It was on the top 10 of 2008 at Entertainment Weekly - my bible of all things shiny. 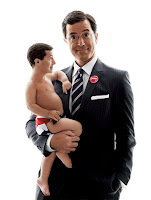 If you have not discovered the treasure that is The Colbert Report - get to diggin'. There is no better way to digest your news and still be able to think you got the real story. Here's a tasty taste: "We'll never get the big government gorilla off our backs as long as we keep feeding the money monkey with our banana bucks. And it'll keep throwing its fiscal feces at us. I can run with this metaphor as long as I have to."